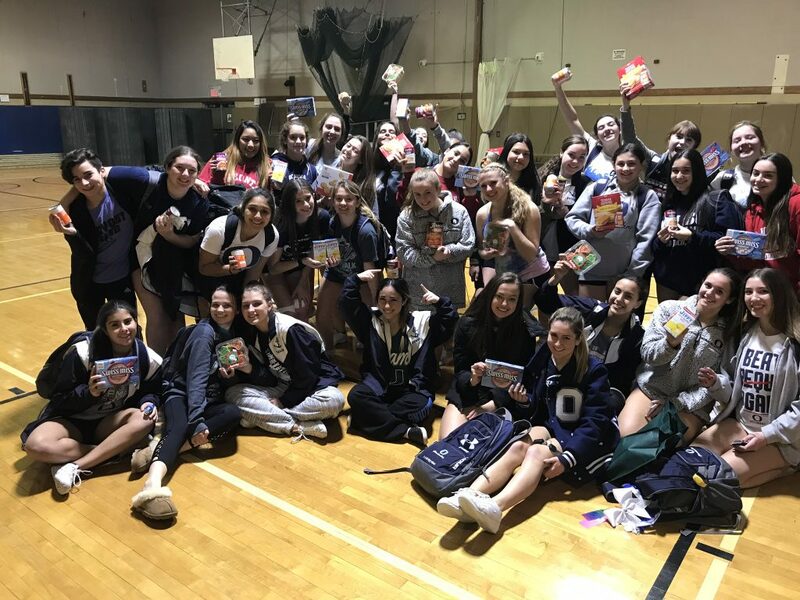 This year, the Oceanside High School cheerleaders took on the Sailor Service Challenge. We motivated our athletes to take part in as many community service events as they could throughout the 2018-2019 school year. Between our two teams, JV & Varsity, 41 athletes took part in 10 community service activities between September and March. There are still more events planned for the rest of the spring, but this is what we’ve accomplished so far! 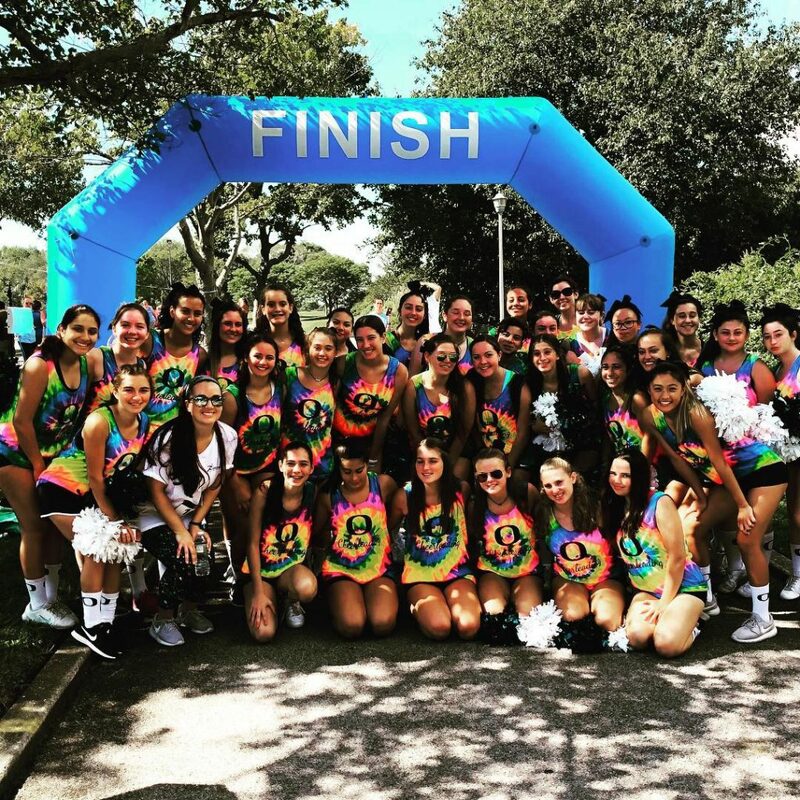 – Mike Caesar 5k for Autism: Athletes cheered at the start and finish line for runners in the 5k. They distributed water, gatorade, bananas and pretzels to runners as they finished the race. The teams provided support to the runners taking part in this charitable event. 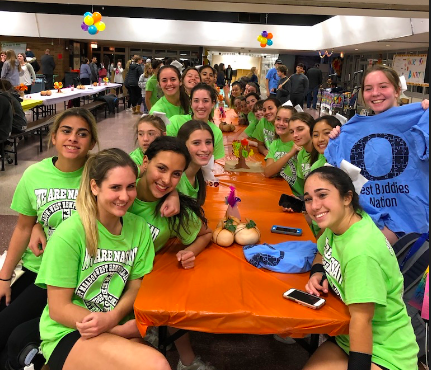 – Team Up for St. Jude’s: The Varsity & JV teams dedicated our fundraising at a football game in September to the St. Jude’s Children’s Research Hospital. We sold yellow carnations, St. Jude tattoos and yellow pom poms to raise $355 to donate to this wonderful program. 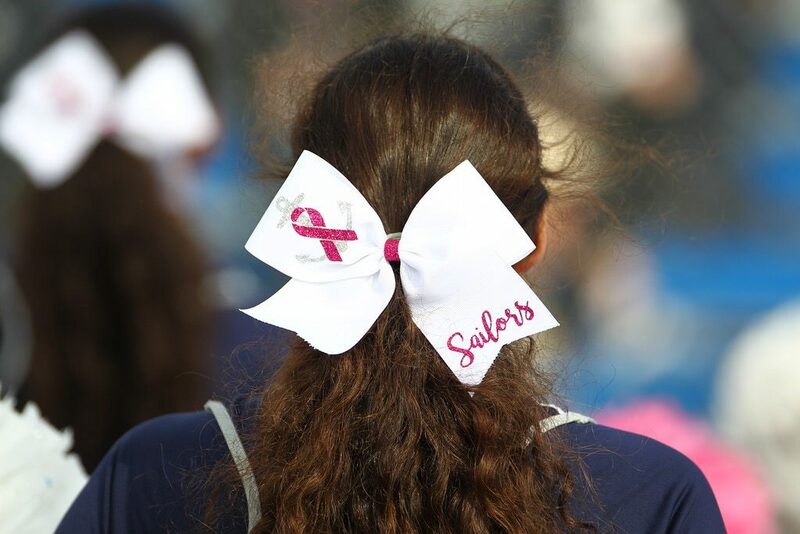 – In October, We Wear Pink: Throughout the month of October, the JV and Varsity teams wore pink bows, pink socks, and used pink pom poms at all of our football games in honor of Breast Cancer Awareness Month. This year, we sold pink ribbon pins to spectators and raised $446 to donate the the American Cancer Society. 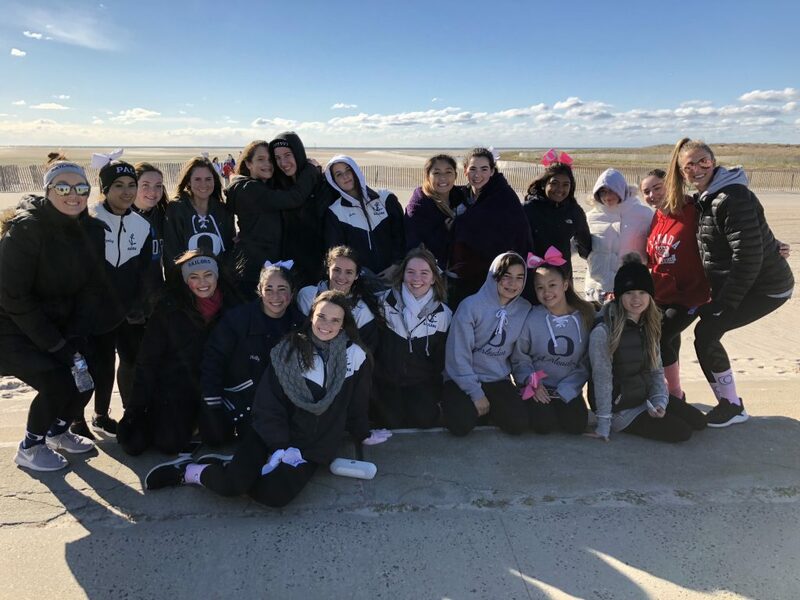 – Making Strides Against Breast Cancer Walk: On October 21, the JV & Varsity teams participated in the Making Strides Against Breast Cancer Walk at Jones Beach. Despite the cold, the teams provided entertainment for people walking along the boardwalk and brought awareness to this important cause. 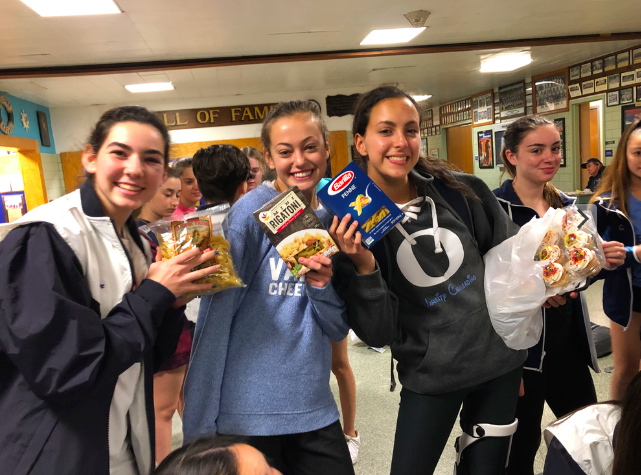 – Best Buddies Thanksgiving Feast: Each year, the teams perform at the Best Buddies Thanksgiving Feast. This event brings members of the community together to celebrate the holiday. The Best Buddies Club at OHS provides opportunities for students with disabilities and non-disabled peers to develop genuine friendships and this event is a great way to celebrate the hard work they do for the students in our community! 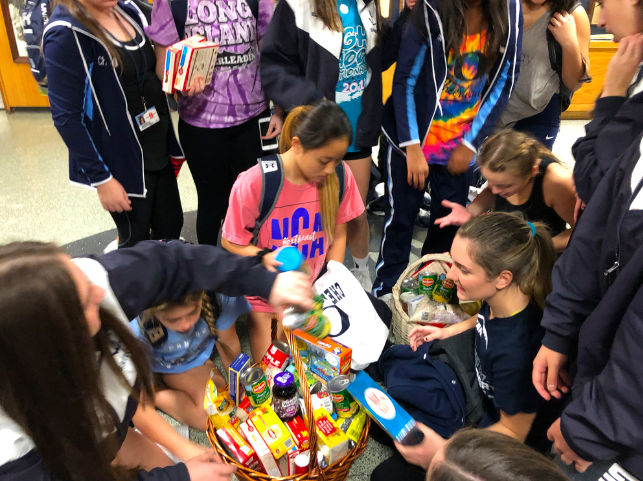 – OHS Turkey Shoot: The two teams donated four baskets of food to families in need. Each basket held all the elements to make a delicious Thanksgiving feast. These baskets were then delivered to families in our community who are in need this holiday season. 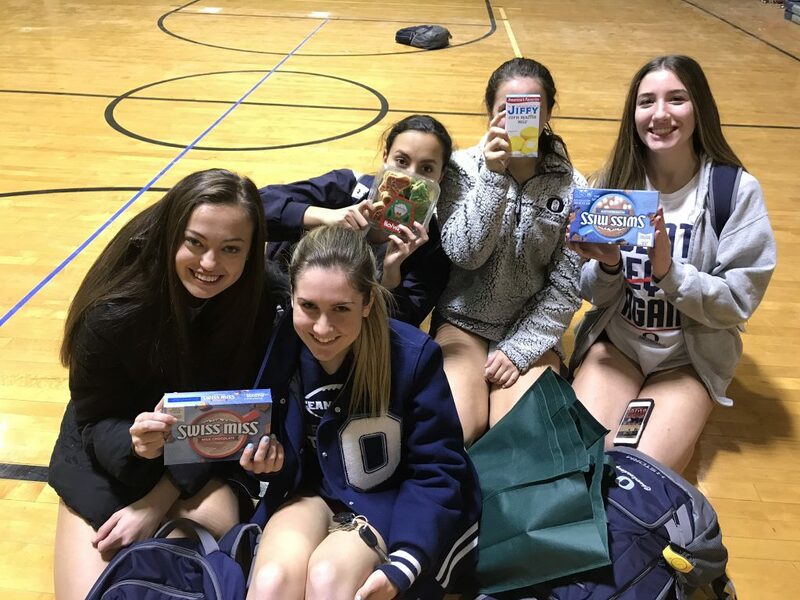 – Oceanside Food Pantry Holiday Drive: The two teams donated 4 boxes of food to fill the Oceanside Food Pantry during the Holiday Season. This included pasta, corn bread mix, hot chocolate, etc. 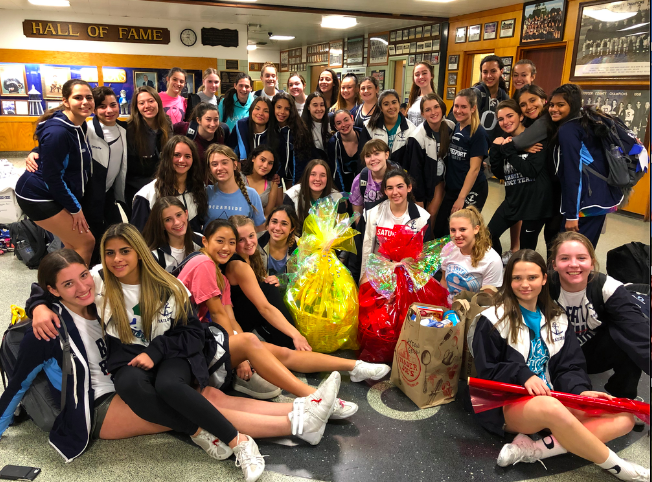 – Long Island Coalition for the Homeless Holiday Drive: The two teams, along with other Nassau County cheer programs, came together to donate winter clothing and necessities to the Long Island Coalition for the Homeless. Our teams alone collected and donated 10 bags of winter clothes, including jackets, scarves, gloves, etc. 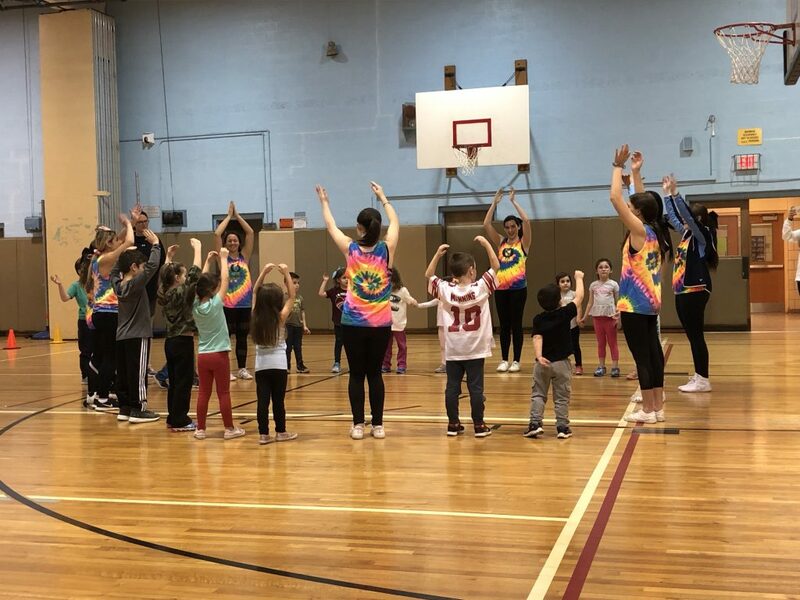 – Oceanside Family Fun and Fitness Night: Our kindergarten center hosts a great night for the kindergarteners and their families to come be active and have fun! Our cheerleaders were in charge of the cheer station where we taught the students games kept them active for the night! 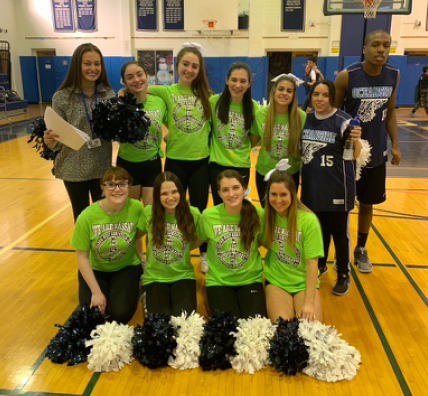 – Best Buddies Basketball Game: The Oceanside Best Buddies and the Best Buddies Club of Calhoun High School competed in a basketball game with the OHS Cheerleaders there to get the crowd excited! Our cheerleaders performed at halftime, cheered on the sidelines, and sang the National Anthem with some of the Best Buddies club members! It was a great game and fun night for all involved!